On November 1, 2017, members of the legal community gathered at the University Plaza Waterfront Hotel for the San Joaquin County Bar Association's 77th Annual Meeting and Luncheon. Outgoing SJCBA President Erin Guy Castillo welcomed everyone to the event and, as they ate lunch, the audience enjoyed a slideshow memorializing many of the events the Bar Association sponsored during the year. During the lunch, members were able to vote for candidates for four vacant positions on the Board of Governors. The Honorable Judge Jose Alva, Presiding Judge of the San Joaquin County Superior Court, delivered the State of the Courthouse Address, which this year took on a special meaning given that the highlight of the year was in fact the opening of the new Downtown Stockton courthouse. Judge Alva described the ups and downs of the construction process, the current courthouse experience after three months of operation, and the exciting plans for the future. Judge Alva also spoke about the success of the collaborative court programs and praised his judicial colleagues, the court staff, the SJCBA and its members for their roles in the year's successes. Ms. 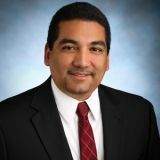 Guy Castillo recapped the year for the Bar Association and its approximately 450 members. Among other things, the SJCBA offered 19 (as of November 1) continuing legal education programs, and this year offered its first free MCLE program. 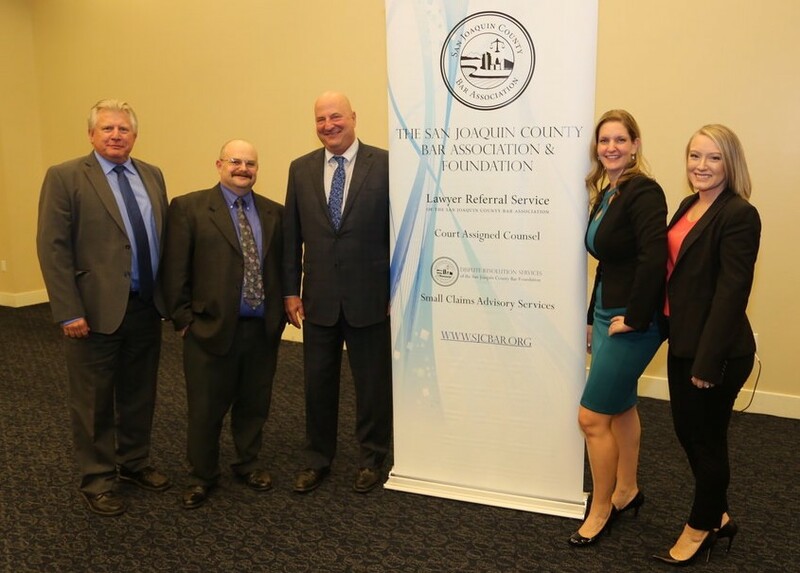 The Bar Association continued to serve as the Lawyer Referral Service for the county, providing 30-minute consultations with a peer-reviewed attorney for a small fee. SJCBA continues to contract with the County to administer the Court Assigned Counsel program, providing competent counsel to represent indigent defendants when there is a conflict with the Public Defender. The SJCBA also provides attorney networking, access to justice through programs such as the Lawyers in Library program, and Across the Bar. The Annual Meeting is also the time when the Bar Association announces the recipients of two awards. Heather Rubino of the newly-christened firm Mohan, Harris, Ruiz, Wortmann, Perisho & Rubino, LLP was selected as the 2017 Outstanding New Lawyer's Award recipient, which will be awarded on February 13 at the New Lawyer's Reception at the Bank of Stockton. The Honorable Judge Robin Appel was selected as the 2018 Law Day recipient and will be celebrated on May 1 at the Law Day Luncheon. Following the announcement of the awards, Ms. Guy Castillo introduced the 2018 Bar Association President, Michael Norton. Mr. Norton spoke briefly, praising Ms. Guy Castillo for her service and expressly his excitement for the future of the SJCBA. To conclude the program, Mr. Norton announced the new officers and the four newly-elected members of the Board of Governors: Leah Gillis, Katie Limas, Anna Maples, and Armando Villapudua.